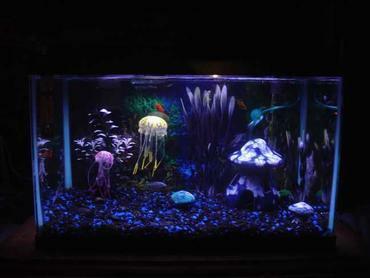 When it comes to decorating your home aquarium, the most spectacular decorations you can include are the fish themselves. Take a trip to your local aquarium and spend some time admiring the diverse collections of colorful species – imagine them in your own tank at home. 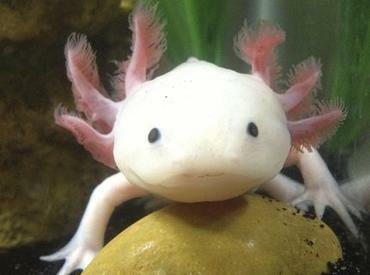 Of course, not all species that can be kept in a large scale zoo aquarium can be kept in a home-sized tank, but it should give you a good idea of just what you can do. 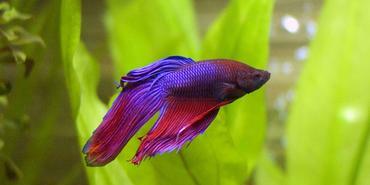 If your goal as an aquarium hobbyist is to create the most beautiful tank you can possibly create, why not choose the most colorful species of fish? 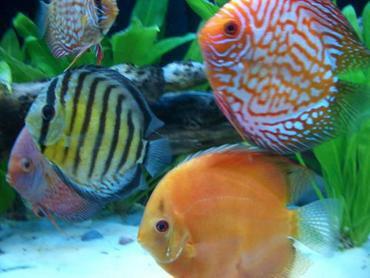 In this article you will learn about some of the most colorful species of marine fish available in the aquarium trade so you can use them to stock your own tank. While tangs might not exhibit the most diverse array of colors, they certainly do exhibit some of the most intense colors in saltwater fish. The two most iconic tang species are the yellow tank and the blue tang. The yellow tang (Zebrasoma flavescens) exhibits a bright yellow coloration that is uniform over the body and fins. This species grows up to 8 inches in size and is considered semi-aggressive. 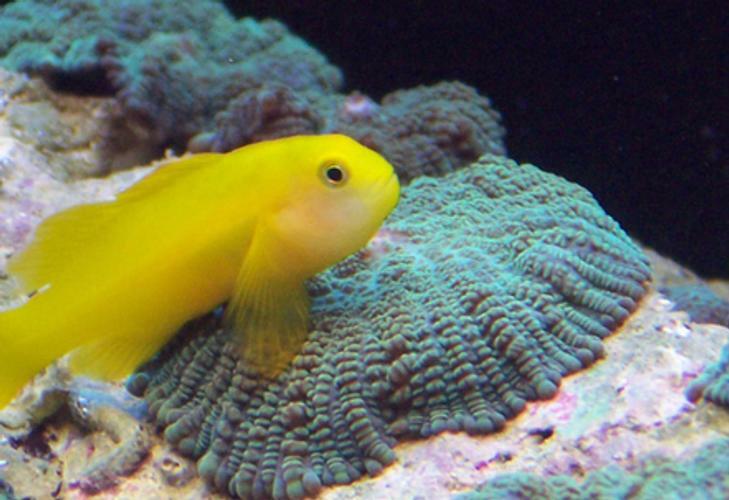 Yellow tangs are very active in the aquarium which makes them a joy to watch. The blue tang (Paracanthurus hepatus) has a brilliant blue body with a yellow tail and black-edged fins. 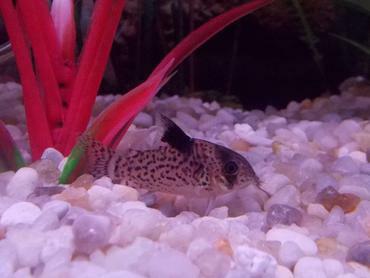 It also has black running through the eye and along the back except for an ovular spot which is blue. 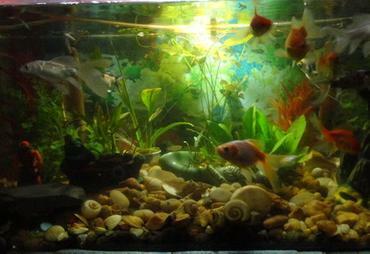 These fish grow up to 12 inches long and are known to provide a level of beauty and peace to the home aquarium. The mandarinfish belongs to the dragonet family which is very interesting because most of the specimens in this family exhibit dull colors. Specimens like the green mandarin (Synchiropus splendidus) or the spotted mandarin (Synchiropus picturatus), however, are completely at odds with the rest of the family. 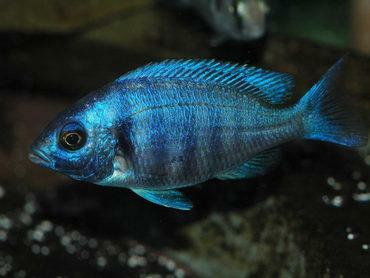 These fish are known for their bright, almost neon colorations – a mix of green, blue, orange and even purple. 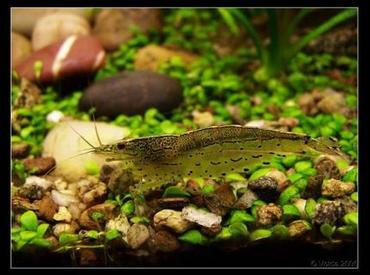 The green mandarin grows up to 4 inches long and, though fairly difficult to keep, they are peaceful in the home aquarium. The spotted mandarin also grows up to 4 inches long and exhibits a unique spotted pattern of black spots ringed in orange and neon green. 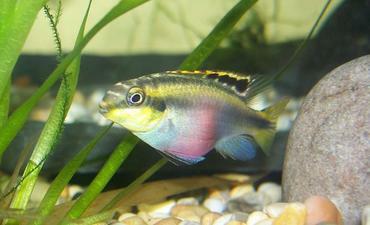 This coloration gives the species its alternative name of psychedelic mandarinfish. 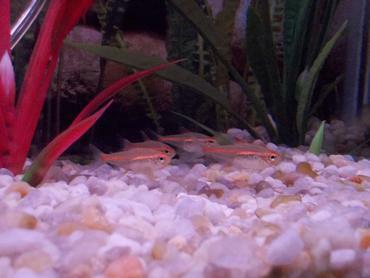 Another family of very colorful marine fishes are basslets. 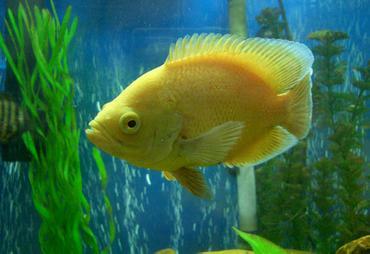 These fish have elongated bodies and typically remain small, under 4 inches in length. The most easily identified species in the basslet family is the royal gramma basslet (Gramma loreto). This species is a brilliant combination of vibrant purple and yellow – the front half of its body is solid purple, the back half yellow with a black spot on the dorsal fin. 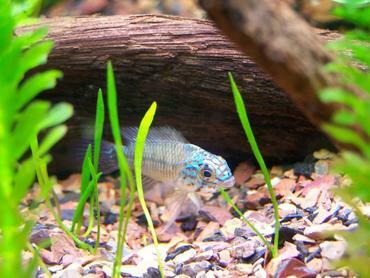 This species grows up to 3 inches long and is popular in nano tanks. Another colorful basslet is the gold ambassador basslet (Assessor flavissimus). 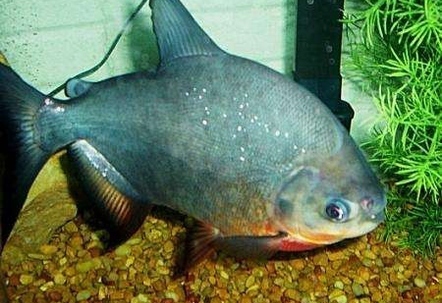 As suggested by the name, this fish is known for its allover gold coloration – it also has neon orange edges to the fins and an orange line running through the eye. 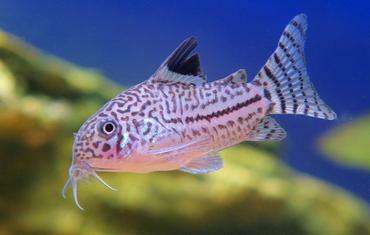 The swissguard basslet (Liopropoma rubre) is different from the other two mentioned, featuring a red and white-striped coloration. 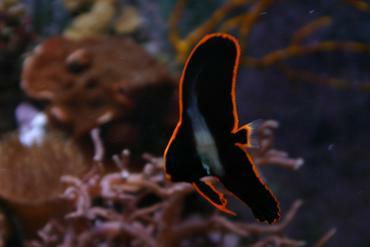 This species grows up to 3 inches long and is recommended for reef tanks. Similar to their freshwater counterparts, marine angelfish are known for their beauty and grace – some species are also known for their brilliant coloration. The flame angelfish (Centropyge loricula), for example, is bright orange in color with vertical black bands and blue tipping on the fins. 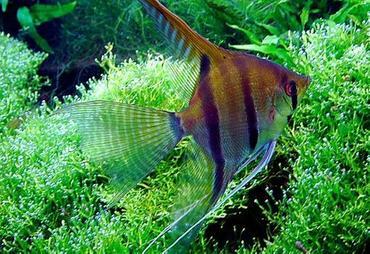 This species is small for an angelfish, growing up to 4 inches long – its bright colors make up for its lack of size. Another colorful species is the emperor angelfish (Pomacanthus imperator). 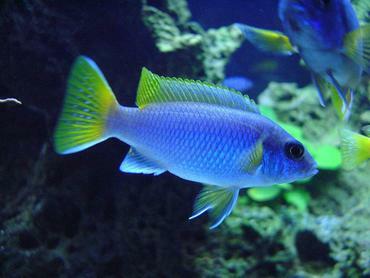 This fish has a blue and yellow-striped body with a yellow tail. While some fish are less colorful as juveniles than as adults, this is not the case with the emperor angelfish. In fact, many argue that the circular pattern of the juvenile fish is more striking than the banded pattern of the adult. 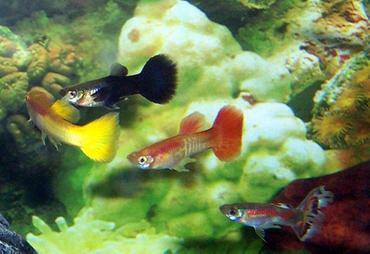 By now you know a little bit about some of the most colorful families of fishes available in the marine hobby. 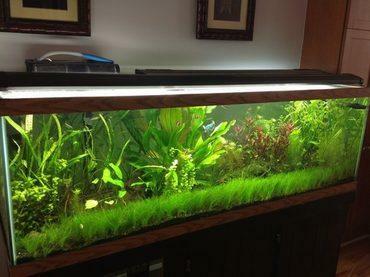 It is up to you how you want to stock your tank, but these specimens are a good place to start. 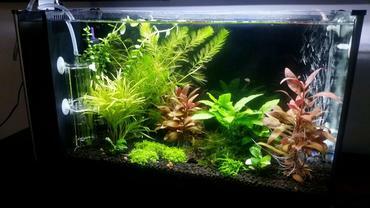 Remember, it is your tank and you can make it as colorful and unique as you want it to be!